Firstly, to add a new employee, simply click on the "Staff" tab. Next, click on the "Add New Staff" button which will appear on the top left of your list of employees. Simply enter a first name, last name, mobile number and email address for the employee. At this stage, you can also add a profile picture for your employee by clicking on the elf pic on the right of screen and uploading a png, gif of jpg file (your employee can also do this later themselves if you don't have a picture handy). 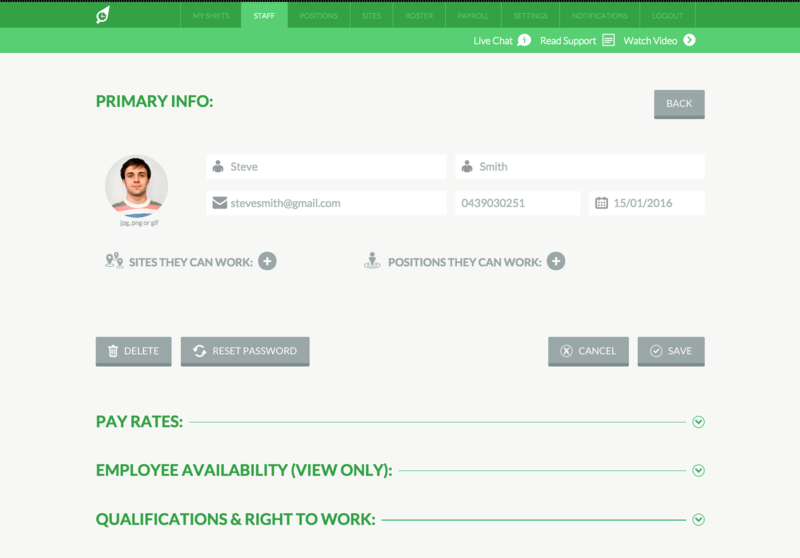 Importantly, you will also need to indicate what sites AND positions, the new employee can work at. 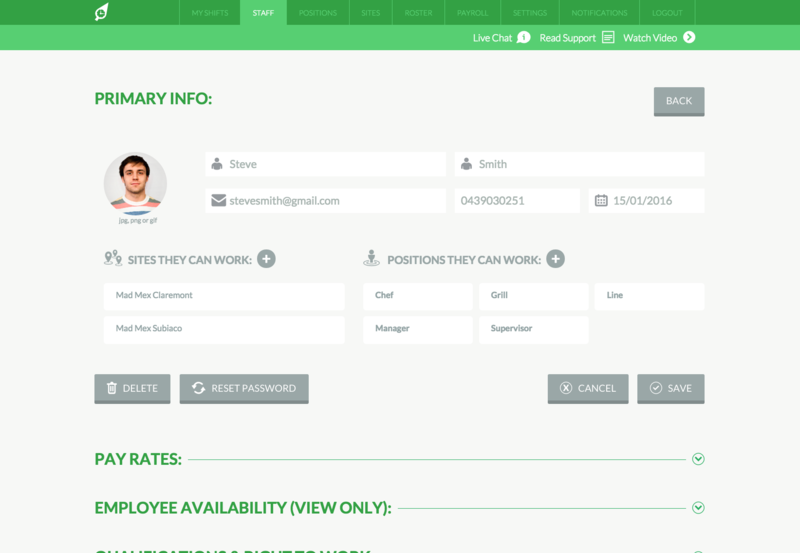 To assign them to site and positions, simply click the + icon and select the sites and positions for this employee. 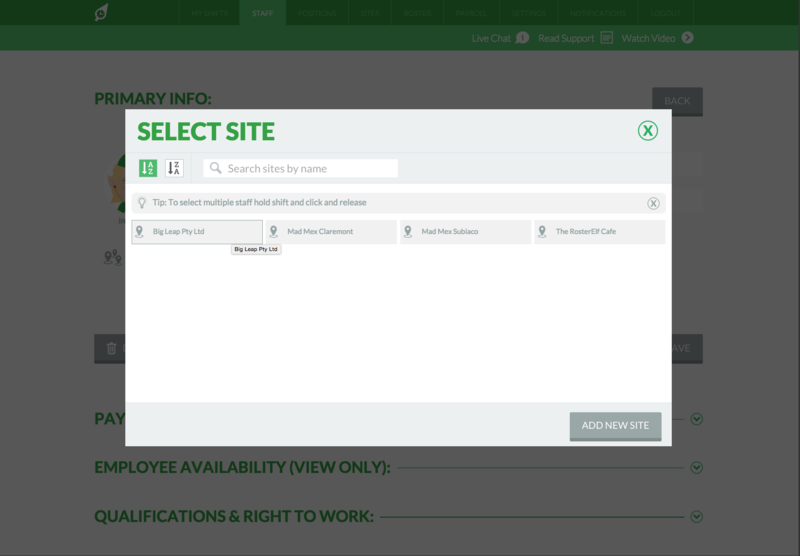 A popup window will appear similar to example below for you to select sites the new employee can work at and positions in your business they can perform. If you don't have all the sites and positions you require already on your account at this stage, you can quickly add new ones by clicking the"Add New Site" or "Add New Position" button on the bottom right of the popup window. 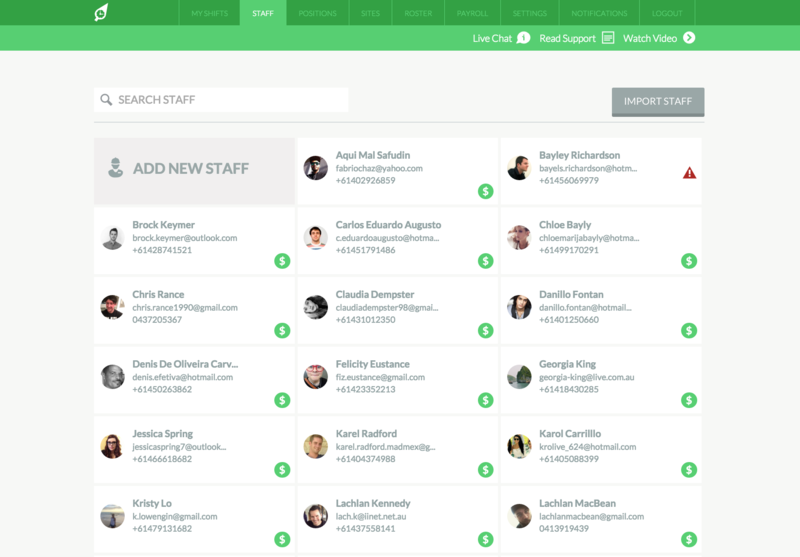 We recommend assigning you employees to as many sites and positions as they can do, as this will greatly assist to broaden your search criteria when trying to fill shifts on rosters. In the example below, this new employee is able to work across two sites and five positions.